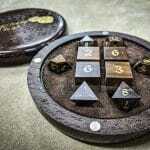 As part of our Holiday specials the Artisan Dice Minions have crafted a number of incredibly exquisite Druids Dice sets. 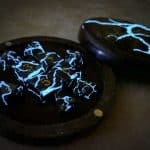 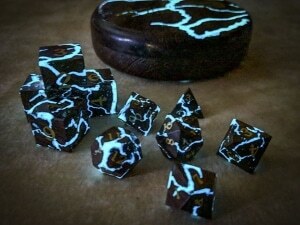 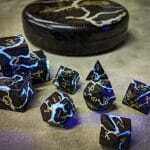 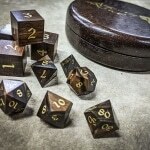 If you’re looking for the finest of our Druids Dice line, look no further. 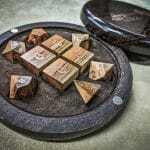 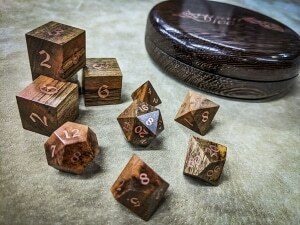 Every set you see here has been crafted from the finest Exotic Woods and is ready for immediate shipment. 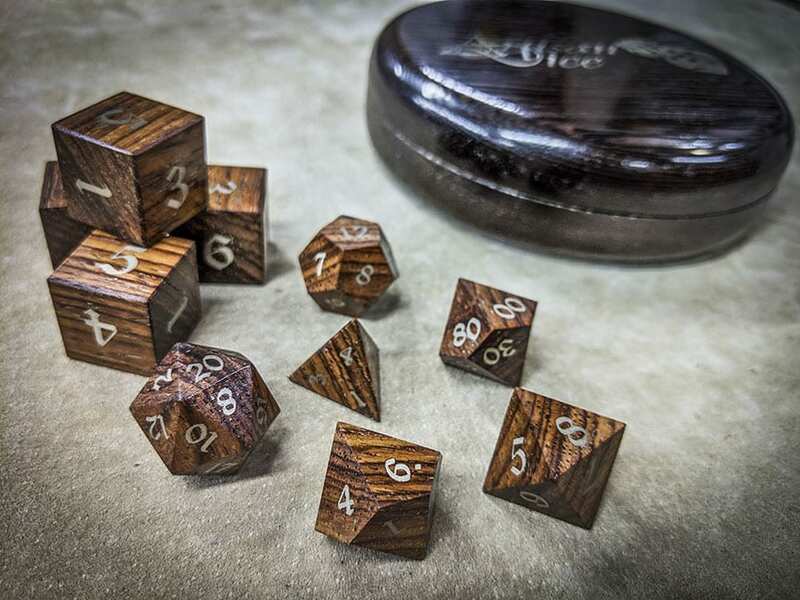 Each face has been inlaid with real metal numbers for extreme visibility and then hand finished to ludicrous levels of awesome using our 5 stage french polish. 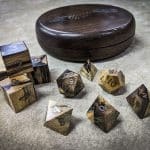 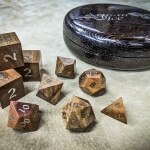 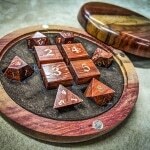 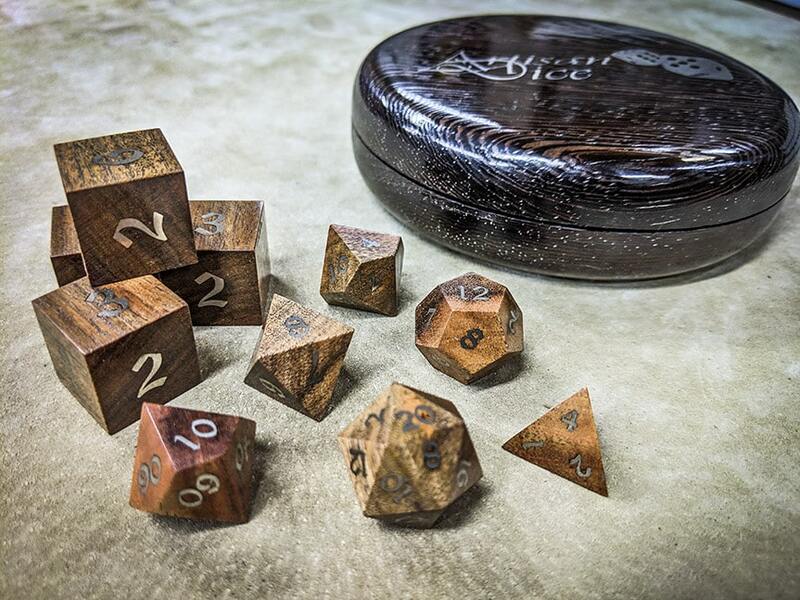 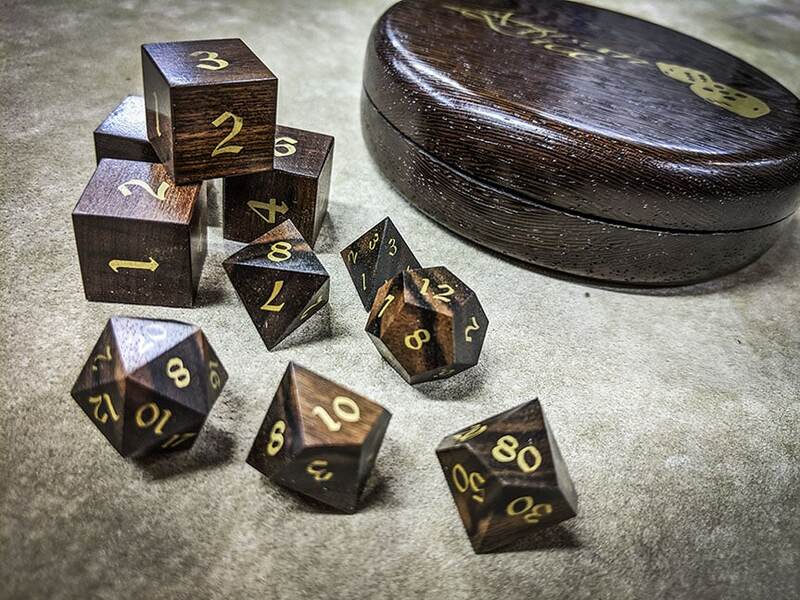 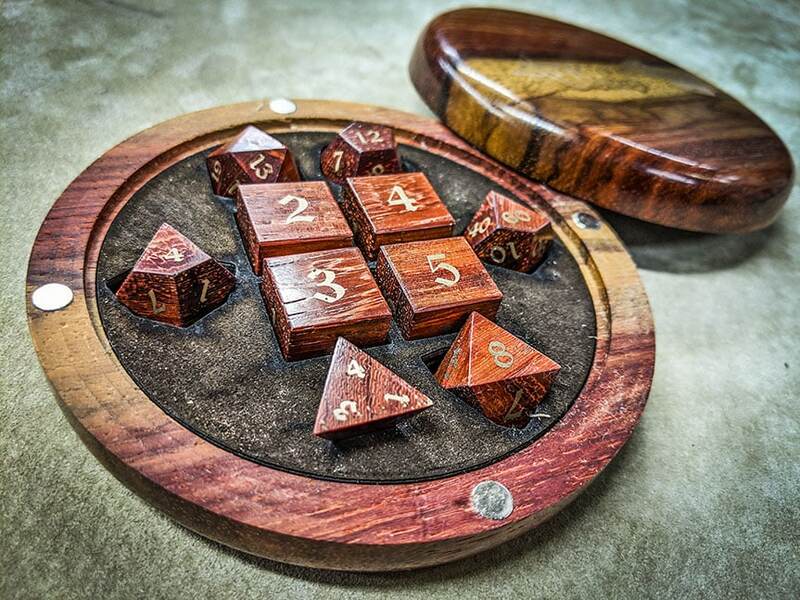 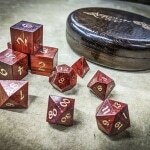 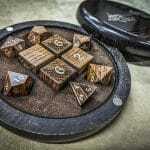 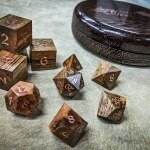 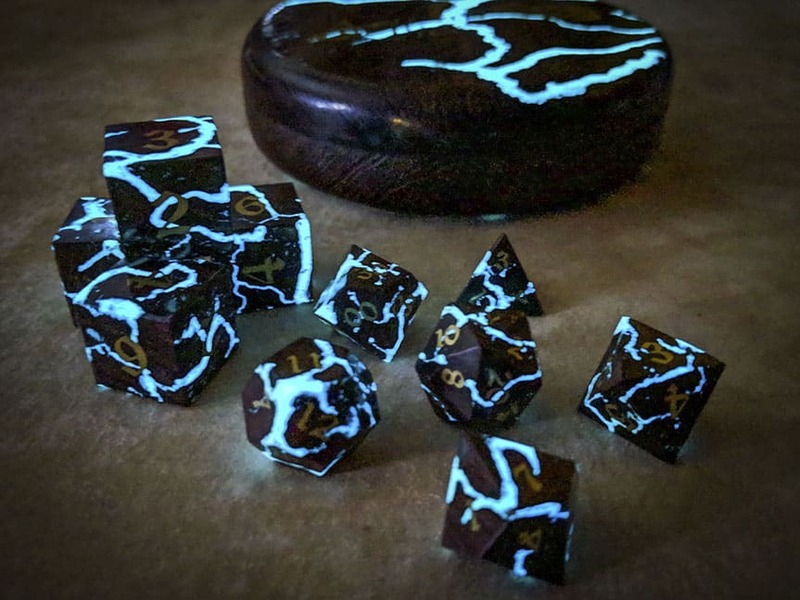 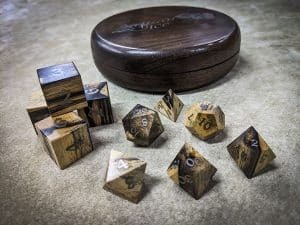 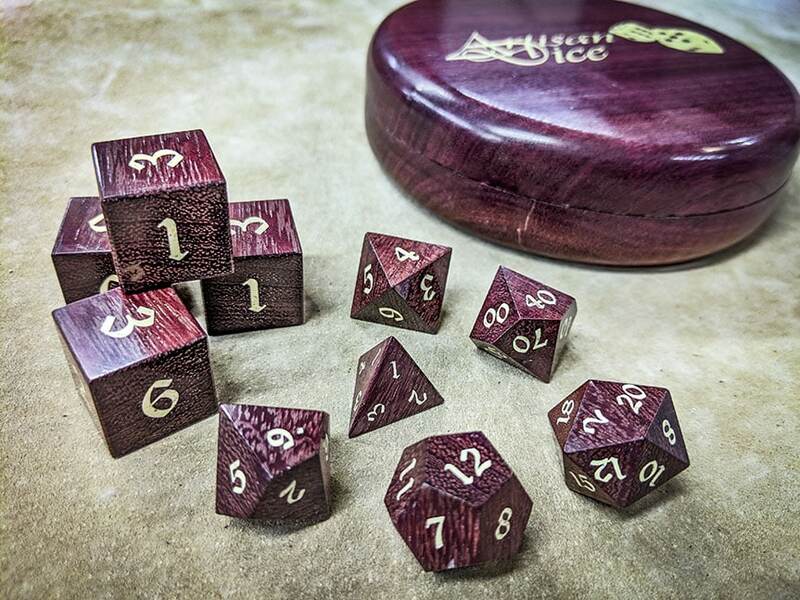 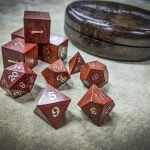 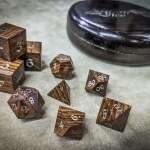 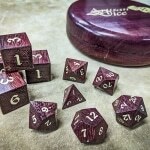 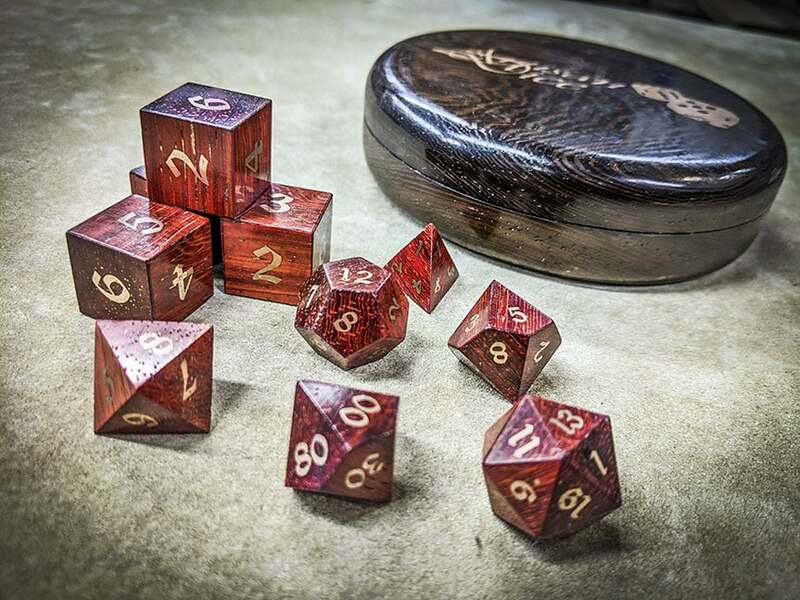 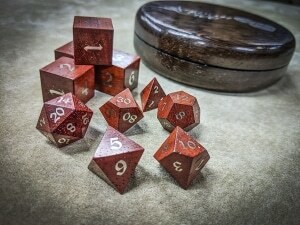 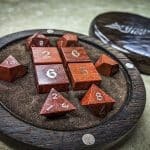 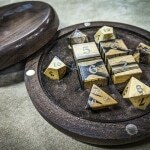 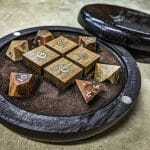 To protect these ultra swanky Druid’s Dice, each set comes in one of our custom made Mk X Bravo Dice Boxes crafted from exotic woods and inlaid to match the dice. 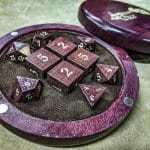 Each box is lined with high quality suede leather and designed to hold each die in perfectly shaped pocket for ultimate protection. 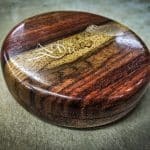 The lid is held in place with 200 lbs of force provided by 8 neodymium rare earth magnets. 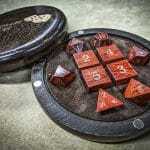 While a simple quarter turn releases the top for easy access to the dice contained inside.